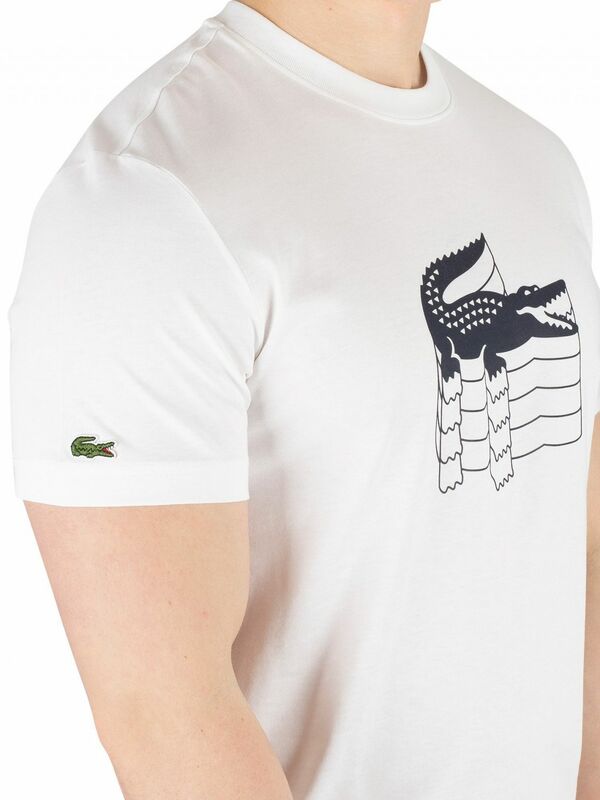 The Graphic T-Shirt from Lacoste comes with a straight hem, featuring a crew neck and short sleeves. 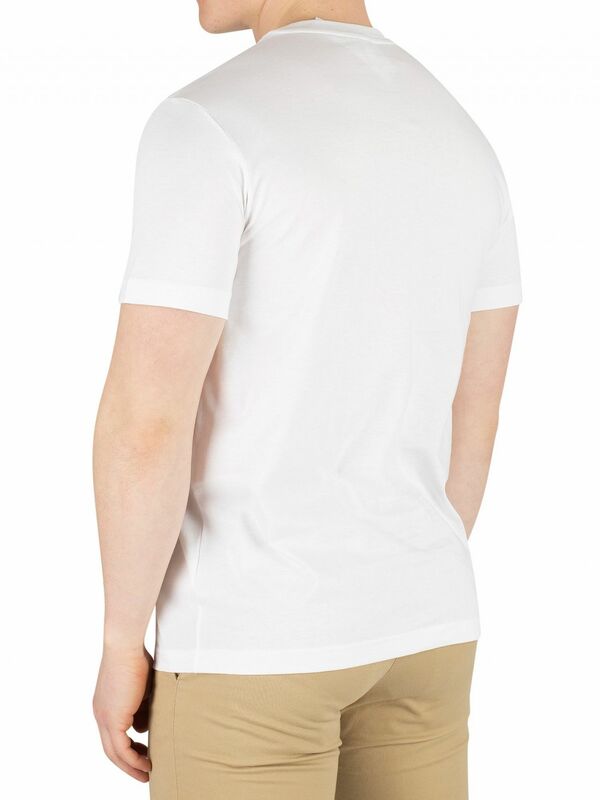 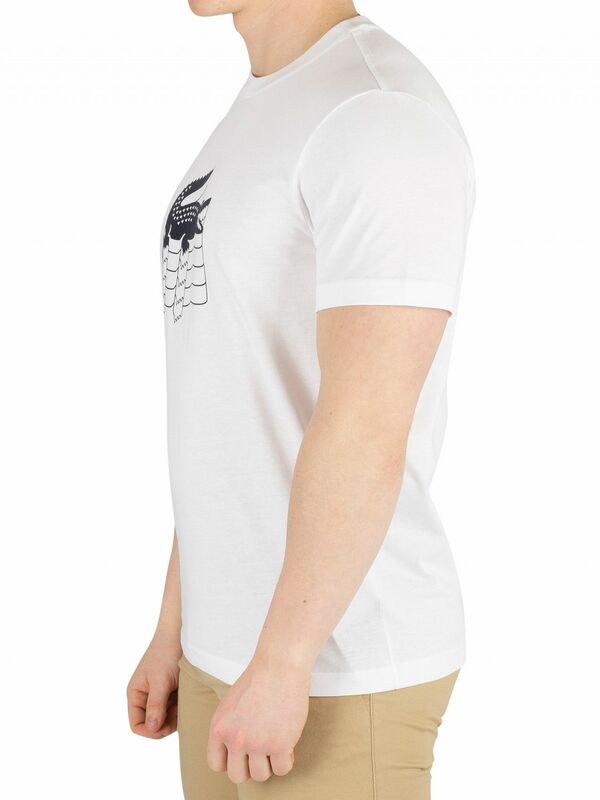 This regular fit t-shirt also features an embroidered logo on right sleeve. 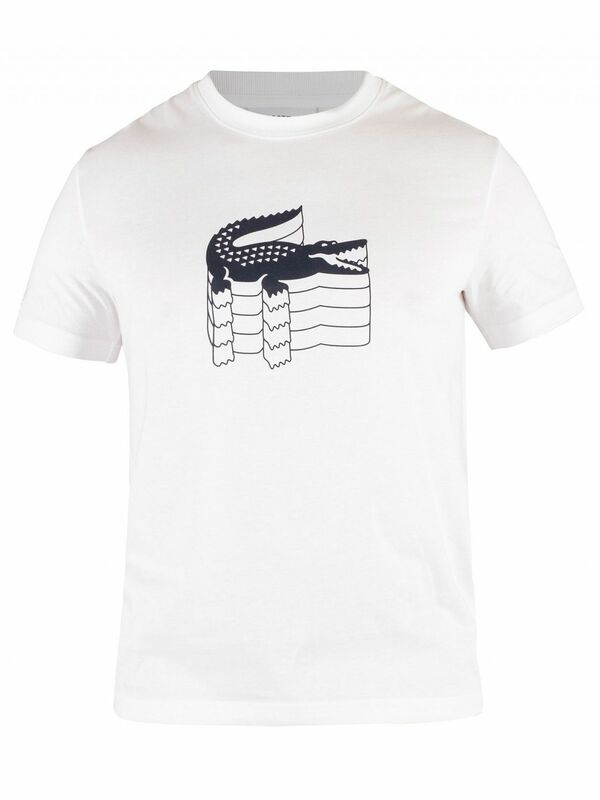 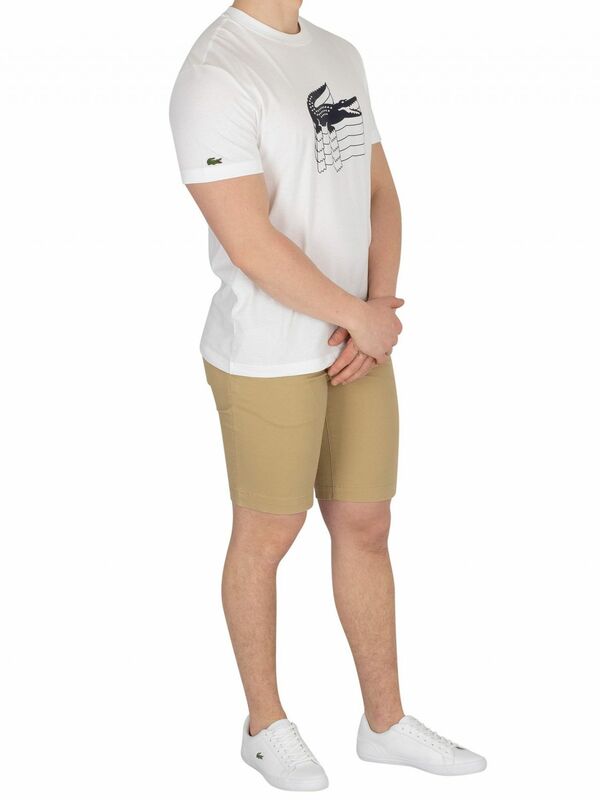 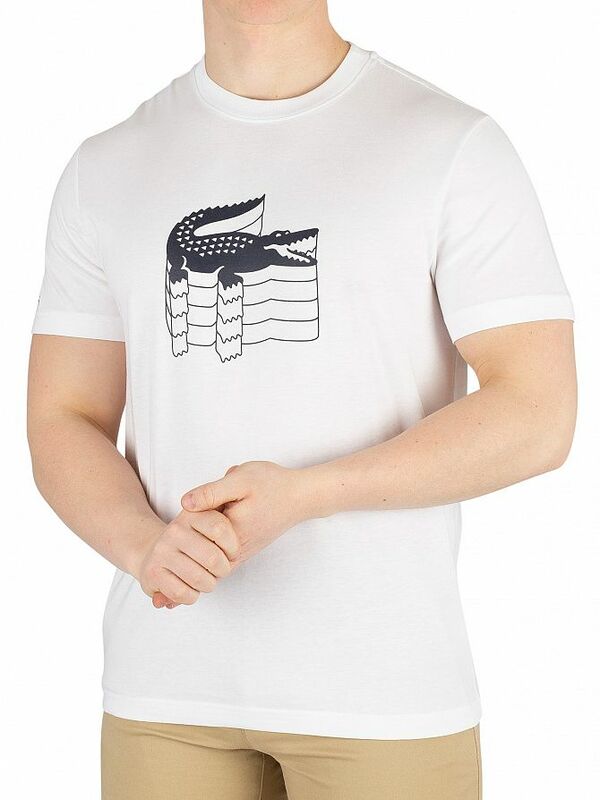 Coming in White colour, this t-shirt sports a printed croc graphic on front.